It didn't really stop drug dealers that much, either. According to techdirt.com, it has recently come to light that a phone surveillance program operated by the DEA was in effect since at least 1992 (a.k.a. nearly a decade before 9/11.) The oft-trotted argument that such spying would thwart terrorists is now patently incorrect. 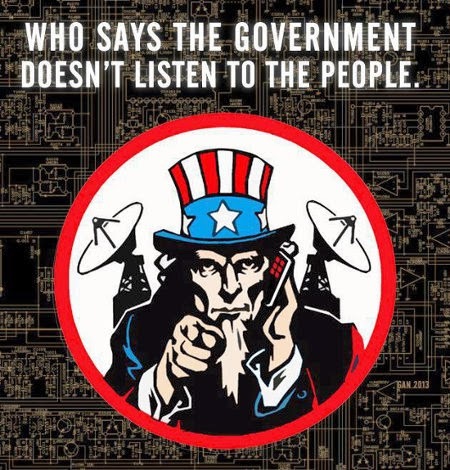 Government claims that no pre-9/11 phone calls from American citizens were retained and assessed for data is not just misinformation, it is an outright lie. The DEA's program, which culled the calls of "millions" according to Brad Heath of USA Today, forged the architecture for the NSA's later onslaught. While the DEA's program claimed to only monitor the phone numbers and associated emails for links to trade in various drug-producing nations, the secrecy of the program strongly hints that more thorough examinations of the material were taking place. At times, they were even more invasive than the current NSA program. Numerous attempts to repel them failed. According to Heath's report, "The DEA used its data collection extensively and in ways that the NSA is now prohibited from doing. Agents gathered the records without court approval, searched them more often in a day than the spy agency does in a year and automatically linked the numbers the agency gathered to large electronic collections of investigative reports, domestic call records accumulated by its agents and intelligence data from overseas. The result was "a treasure trove of very important information on trafficking," former DEA administrator Thomas Constantine said in an interview." Heath's report also mentions that the DEA's phone program, which commenced in 1992 at the behest of then-president George H.W. Bush, was smoothly approved but not closely tended to. According to Heath, "It was approved by top Justice Department officials in four presidential administrations and detailed in occasional briefings to members of Congress but otherwise had little independent oversight, according to officials involved with running it." Maybe a few stuck to the law...maybe not. When phone companies argued that the data being mined was too extensive, there were rebuttals for that as well. In 1998, the DEA told Sprint that, "the initiative has been determined to be legally appropriate" and that their appropriation of call data was, "appropriate and required by law." The data was claimed officially "to focus scarce investigative resources by means of sophisticated pattern and link analysis." Since DEA subpoenas do not require a judge's approval, numerous instances of pulling in call data were used to "tip" agents onto the trail of suspected dealers. "We knew we were stretching the definition," a former official involved said. However, at least the DEA used their information to target people, not just hold it like the Phone of Damocles over citizens' heads. As a vote to maintain Section 215 of the Patriot Act draws near, we would do well to use these findings to make citizens understand a critical point: even when we DID use targeted information on suspected criminals, it didn't stop terrorism. So how is blanket mass-surveillance expected to do any better? This isn't helping or protecting anyone. Generic drugs are the bio equivalent version of original drug. This simply means that they are identical in composition and formulation to original drug. Long distance 800 are one of the hidden charges that phone companies get you with. But technology has even the score and it is now possible to make long distance calls anywhere for only pennies.